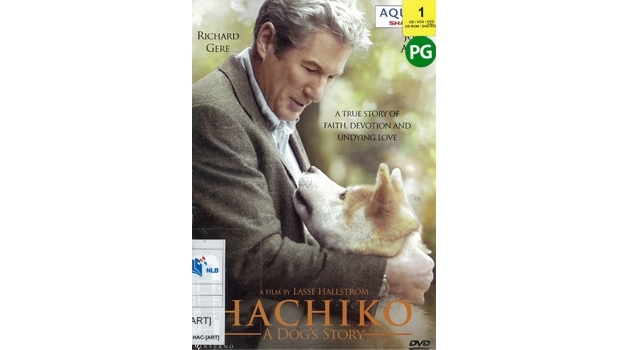 Hachiko: A Dog's Story is a heart-warming English adaptation of the famous Japanese tale of a loyal dog named Hachiko, or Hachi for short. Hachiko is found one day by Parker Wilson, who was waiting for the train at the train station. Hachiko and Parker build a strong connection instantly. Every day after that, Hachiko faithfully walks Parker to the train station in the morning, and returns again in the evening to wait for the arrival of his beloved master. One day, Hachiko waits for hours but Parker never shows up. Despite that, Hachiko continues to go to the train station every day for the next ten years, waiting for Parker to return. Highly recommended for all dog lovers, watch this movie to find out what happens in the end! The DVD cover is the copyright of the movie production company.